Marley Barazon was 16 when she immigrated to the United States from the Philippines. For months, while handling the rigor of senior year of high school, she looked for a job to support her family as they attempted to make it in a new country. Application after application, she kept receiving rejections. After three months, Marley finally came across a Craigslist posting for a position at Old Navy, and the link redirected her to LearnUp. After completing the scenario-based LearnUp training, she applied for the job, and received her first interview in America. Then, the good news came—Old Navy wanted to hire her, as a “Sellebrity”, or retail salesperson, at a nearby branch. It is an economic irony that in every country around the world, there are thousands of unfilled jobs and yet simultaneously a high unemployment rate. In America, we have a ~5% official unemployment rate, but in certain cities that rate is three to four times as high—and is even higher amongst minorities, youth, and low income folks. If you add those who are underemployed, the number is even higher. LearnUp is trying to solve this “skills gap”, starting with entry-level jobs, by working directly with employers to put online the necessary content an applicant needs to know to be a successful employee. Applicants then complete targeted training at zero cost to them before applying for the corresponding job, which increases their chances of getting hired by 300%. We believe this could not only help the people desperately in need of work to get jobs, but could also revolutionize vocational education over time. Whether you are a young immigrant looking for your first job, a veteran who fought on the battlefield in Afghanistan who now wants to succeed in civilian society, or a single mother trying to find her next gig, LearnUp is your platform. But at the end of the day, LearnUp isn’t just a job-training platform. It is a platform for hope. At NEA, we are excited to announce our co-lead Series A investment with our friends at Shasta Ventures to support Alexis, Kenny, and the rest of the LearnUp team on their quest to retrain America. 1) Do we believe that there is genius-level talent equally distributed around the world? 2) Do we believe that much of this talent doesn’t have access to the opportunities we have? 3) Do we believe that this talent can be unleashed for the good of their families, communities, and global economy, irrespective of race, religion, gender, or socioeconomic status? And thus, Andela was born. Andela is based on a powerful and profoundly simple idea: paying students to learn. What if, instead of students paying tuition, we paid students to learn? What if we started in a massive and complex country like Nigeria—a country with 70% youth unemployment, the ISIS affiliate Boko Haram in the northeast, and rapid population growth that will make it the third most populated country in the world by 2100? And, what if we started with next generation computer science skills—Angular, MongoDB, Node.js—for which there are 3 unfilled jobs for every qualified developer globally? As a board member, I’ve had a front row seat to what the deeply passionate team (Christina, E, Adam, Ian, etc) has accomplished thus far. We are about to begin training the 11th class of fellows, who each sign up for a 4 year educational roller coaster. We have a <1% admissions rate, making Andela the most selective educational institution in Africa. 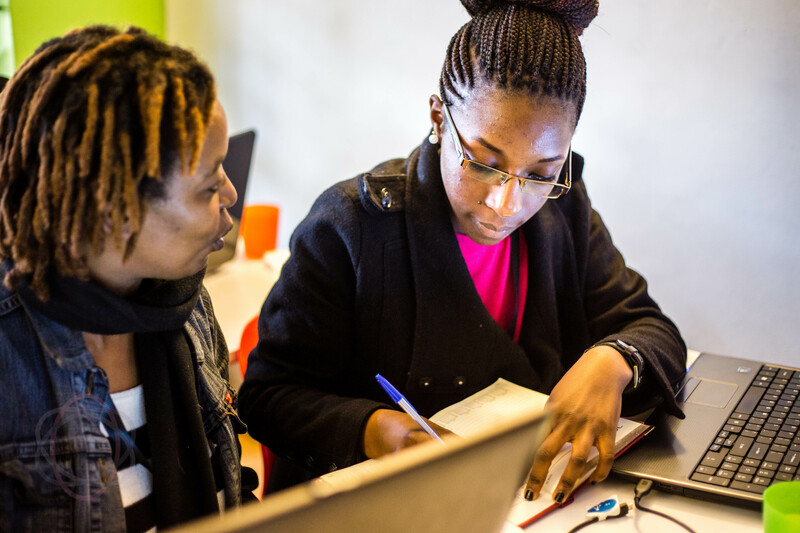 We recently conducted an all-female bootcamp, expanded to Kenya, have had companies like Microsoft hire fellows, and just closed our Series A financing from Spark Capital. And so much more. This is just the beginning on our quest to train 100,000 fellows in Africa over the next ten years.